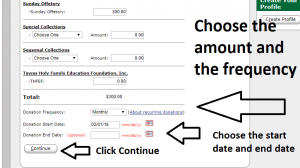 Make your donations without writing any checks. Holy Family Parish uses the Vanco Payments online giving program. 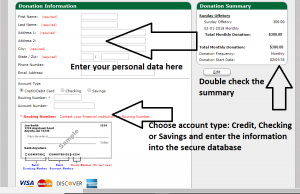 Online donations may be made at any time through Vanco from the comfort of your own home or any place with internet access. 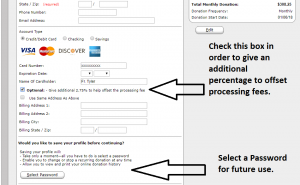 Online donations are credited to your tax statement for the end of the year, and you can change your account preferences and donation amounts at any time. You can choose between multiple funds. How can I participate in the offering during Mass? 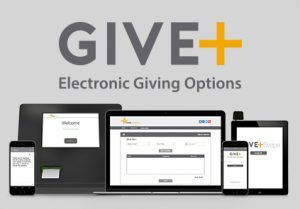 Either write “I give electronically” on the outside of an envelope or contact the parish office and request an “I Give Electronically” card to drop into the offering basket. Contact the parish office and they will be able to credit the amount donated in error back to your account – just like when you return an item you bought at a store or online. It is very important that the mistake is caught as soon as possible. Credits cannot be made more than a few days after a transaction has been processed.